Anlässlich des 100. Deutschen Röntgenkongresses gibt Willi A. Kalender, Gründer und wissenschaftlicher Berater der AB-CT – Advanced Breast-CT GmbH, eine Übersicht zum Stand der Forschung und Entwicklung auf dem Gebiet der Spiral-CT-Technik und -Anwendungen. 30 Jahre Spiral-CT mit bahnbrechenden technologischen Entwicklungen und positiven klinischen Ergebnissen für die Radiologie und für die Patienten. Wir laden Sie herzlich zum Symposium “Spektral-Detektor-CT” ein. Erfahren Sie mehr über die Entwicklung des Spiral-CTs während drei Jahrzehnten. Sie finden uns in Halle 2, Stand A30. Wir freuen uns auf Ihren Besuch in Leipzig. Ein Gespräch zwischen Prof. Dr. med. Andreas Boss aus dem Universitätsspital Zürich und Dr. med. Dr. phil. Anna Erat. Prof. Dr. med. Andreas Boss, erster Anwender von nu:view, dem Spiral Computertomographen für die Darstellung der weiblichen Brust, informiert in einem kurzem Interview über die Funktionsweise und Vorzüge des Brust-CTs. A dedicated breast CT scanner that features a photon-counting detector produces high-quality images at a low radiation dose. The findings indicate that the CT scanner could be a useful tool for breast cancer screening, according to a study published online March 2 in Investigative Radiology. In fact, a team from the University of Zurich in Switzerland believes that breast CT has the potential to further improve breast lesion detection and characterization compared with mammography and digital breast tomosynthesis — particularly because it does not require breast compression, and the photon-counting detector technology reduces radiation dose to levels comparable to those of a conventional mammogram. “The possibility to perform contrast-enhanced examinations indicates a possible usage of breast CT comparable to breast MR imaging with the additional capability to simultaneously detect microcalcifications and soft-tissue contrast enhancement,” the researchers noted. Researchers continue to seek ways to screen for breast cancer that will minimize potential harms and maximize benefits, and Berger’s team is no different. 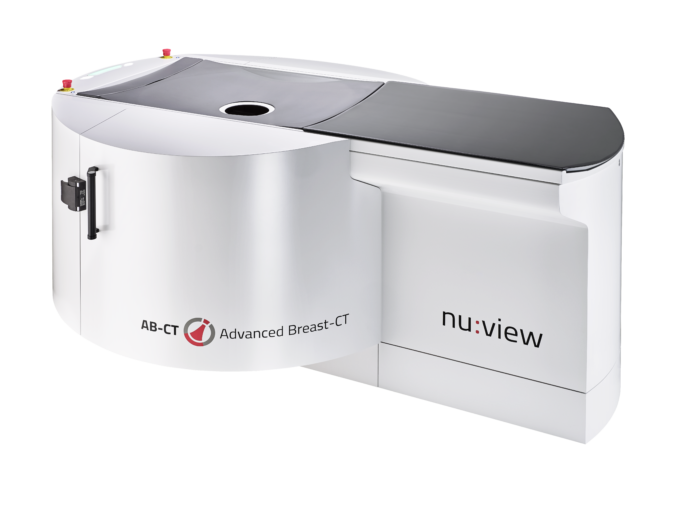 This study used data from start-up firm Advanced Breast-CT’s dedicated spiral breast CT system, nu:view, which has a photon-counting detector based on cadmium telluride (CdTe) crystals. It’s the first clinical in vivo application of nu:view, which received CE Mark certification in September of last year. “Up to now, resolution of breast CT did not reach high enough resolution to visualize microcalcifications, which the new dedicated breast CT can provide. … The high resolution, but also the possibility to evaluate the images in different planes, increases and facilitates the characterization of lesions regarding suspicious features such as conspicuity, calcifications, and asymmetries, as well as masses,” the researchers wrote. The major pectoral muscle was included in 15 breast CT scans (62.5%); a glandular component was partially missing in two (8.3%) of the 24 scanned breasts. Berger’s group found a “ring” artifact in all scans, although it did not influence image interpretations. 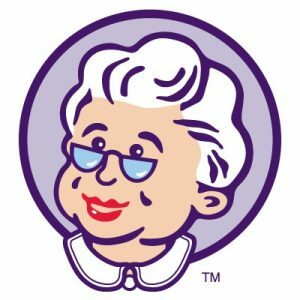 As for the women’s feedback about the comfort of the exam, the majority (75%) ranked it a 4 on a scale of 1 to 5; all women with prior mammography ranked the breast CT exam as more comfortable due to the absence of compression. “The new dedicated spiral breast CT equipped with a photon-counting detector provides high-quality images at low radiation dose and shows considerable potential for screening and diagnosis of breast cancer, along with improved patient comfort compared with conventional mammography,” Berger and colleagues concluded. The EUSOBI Mammography & beyond Course 2019 aims to give a thorough overview of different Mammography (MG) based techniques like tomosynthesis, contrast enhanced MG, synthetic MG and CT of the breast. 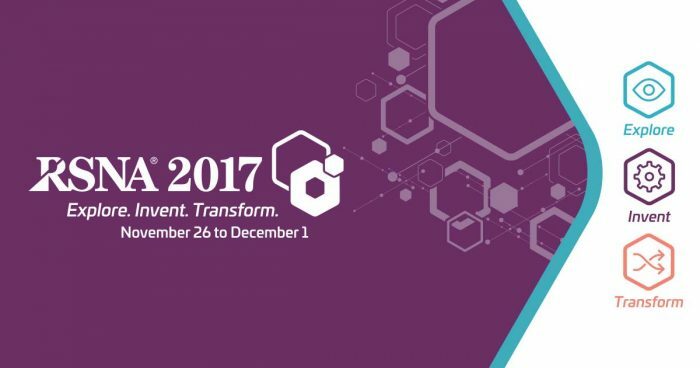 Beside fundamental technical considerations, results of different ongoing clinical trials will be presented and training on different MG based techniques will be provided. The course will take place in Vienna, Austria, from February 25-26, 2019. Theoretical lectures will be enhanced by hands-on workshops on systems provided by different vendors. The course has limited access in order to ensure that each participant has the possibilty to work with different MG based techniques. 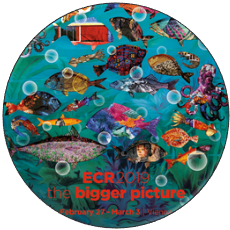 The next ECR will be held in Vienna, Austria from February 27 – March 3, 2019. 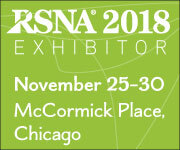 We’ll be exhibiting at RSNA 2018 and we want to meet you there! 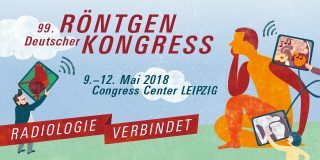 “Radiology Connects” is the Motto of the 99th German Röntgen Congress. Get connected at our Booth as well and receive an update on breast-CT. 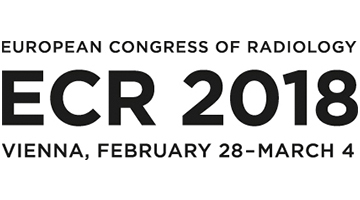 This year AB-CT – Advanced Breast-CT GmbH will have a booth at RSNA’s Annual Meeting. You will have the opportunity to meet our Senior Management Team (CEO, CFO, CTO) and discuss the benefits of our disruptive technology. You can even schedule an appointment with Prof. Willi Kalender, PhD our Founder and Scientific Advisor. The National Academy of Engineering (NAE) has elected Willi Kalender as one of new members for his development of spiral computed tomography methods that enable modern high-speed 3D medical imaging with X-rays. Few people have had greater individual impact on the evolution of CT scanners than Dr. Willi Kalender, PhD, the pioneer of spiral systems. 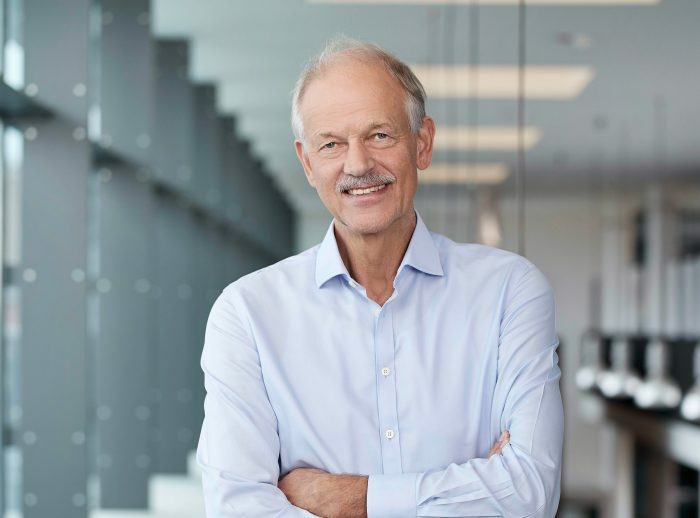 As the director of the Institute of Medical Physics at the Friedrich-Alexander University of Erlangen-Nürnberg in Germany, he is currently overseeing projects relating to CT imaging of the heart, micro-CT, and image-based navigated interventions.